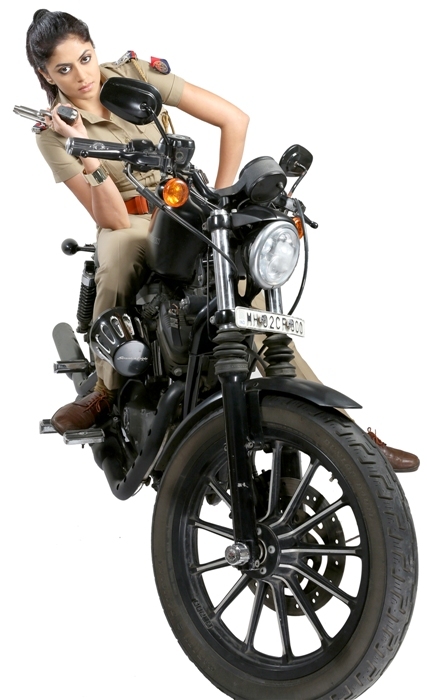 We’ve all seen Kavita Kaushik’s bindaas attitude and ishtyle on SAB TV’s most popular show, FIR.She gained immense popularity for her role as Inspector Chandramukhi Chautala and thoroughly entertained viewers with her perfect comic timing, her attitude and all the drama. Now she’s back on FIR; bringing alot more special elements in her typically admired Chandramukhi style! She will enthrall the audiences with some thrilling action-packed performances and mind-blowing stunts. With action-packed performances and mind blowing stunts, Kavita Kaushik is back to give her fans and viewers the best of the very best! This time, it is not just the usual Chandramukhi Chautala that you have been seeing for 8 long years; she will now be seen performing dynamic stunts and breath-taking action sequences along with her much adored comedy quotient. Speaking of her come-back, Kavita stated, It feels great to be back on FIR. I feel like I’ve come back to my friends. In fact everyone around me is so excited and kicked. My entry into the show has also been planned really well, with action sequences and stunts. I’m really happy to be back and I’m certain that the viewers are going to thoroughly enjoy watching the show as I continue to entertain them in a dhamakedaar andaaz!” With Kavita back on the show, one thing is for sure, the viewers are in for a series of gripping sequences!